ZimPraise get invitation from Bishop TD Jakes. Home Hurukuro Trending News ZimPraise get invitation from Bishop TD Jakes. Zimbabwean gospel outfit and 2014 ZAA recipients, ZimPraise, have been invited to perform at one of the biggest church conferences in America by renowned Pastor, TD Jakes. Bishop Jakes who was impressed by their performance last year in London asked them to grace his annual Megafest conference that will take place in August this year. ” I had the privilege of seeing ZimPraise in London when I was preaching at Bishop John Francis’ church, and there was a glory and anointing when they praised and ministered,” said TD Jakes in his church service last Sunday. “They are a group of fiery young people who love the Lord,” he added. Bishop Jakes said that he had been praying to the Lord for something exciting and crazy to do for Megafest and that he had decided to invite them.  The award winning group have been in existence for the past decade under the watchful eye of award winning producer Joseph Madziyire, who is also the founder and CEO. “ZimPraise is a passionate Praise and Worship group, collectively in Zimbabwe. The group seeks to run on a vision of bringing and uniting nations through Worship and music,” said Joseph Madziyire. “Everything we have been praying for,visions that God has told us about regarding uniting the nations are all becoming a reality. It’s all about Jesus and we are going to be in the Potters House,” added Madziyire. The Interdenominational Praise and Worship team have been on the rise since 2007 when they released their first album ZimPraise Season 1. They have increasingly grown their fan base both at home and abroad, and have collaborated with some of the biggest acts in the Gospel world including Stanley Gwanzura, Sabastian Magacha, Comfort Manyame and Mathias Mhere. Last year also saw them perform with Joyous Celebration frontman Mkhululi Bhebhe and the sensational Tembalami on their UK tour. 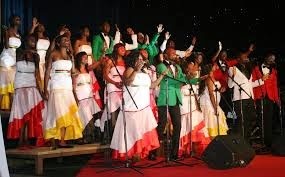 The tour came after their successful Season six live DVD launch which saw scores of people flocking the Harare International Conference Centre for the celebrated event which was dubbed “It’s all about Jesus”. “ZimPraise has mastered the synchronicity and dynamism of gospel music and effectively created a unified melody in Zimbabwe ,”said Madziyire. Music producer Macdonald “Macdee” Chidavaenzi was instrumental in the formation of the popular and energetic musical powerhouse now well known for its explosive and electrifying stage performances.